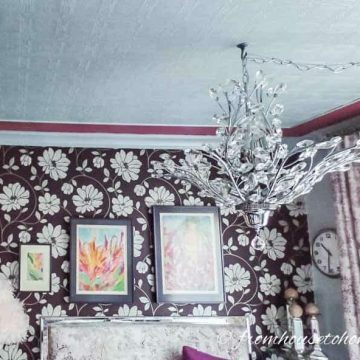 In the “old days”, ceilings in banks, schools, and other institutions were covered with painted, patterned tin, often to hide imperfections in the plaster. 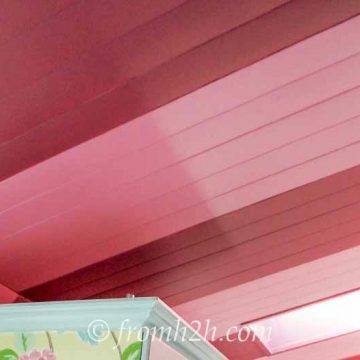 Today, faux tin ceiling tiles accomplish the same thing, look great, and are very easy to put up…just click Next to see our instructions on how to install faux tin ceiling tiles. Don’t want to go through the trouble of actually installing tiles? 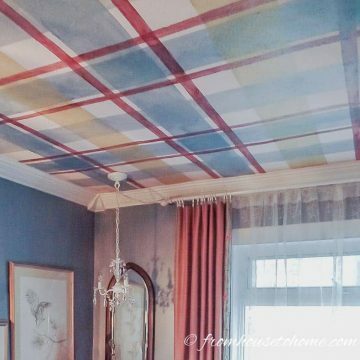 See our post on how to wallpaper the ceiling. 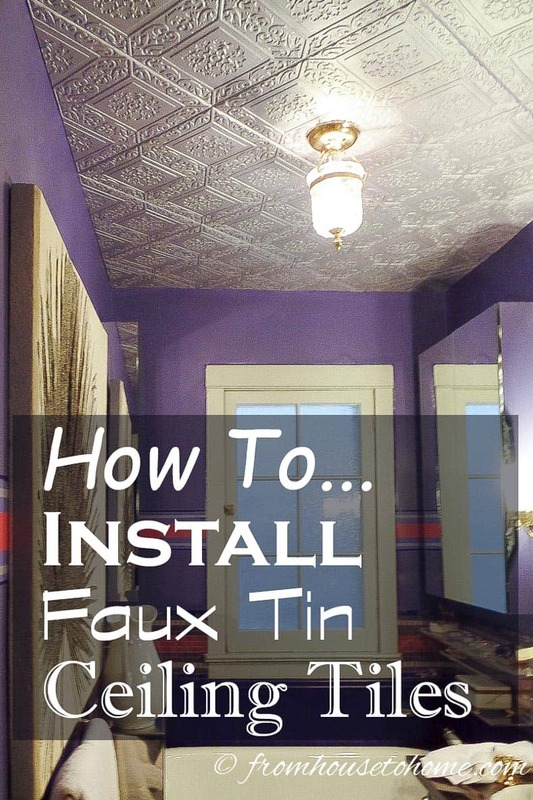 Have comments or question on How To Install Faux Tin Ceiling Tiles? Tell us in the section below. Do you think after the tiles are painted I can stack and store them back in the box? I can’t do the project all in one day because I have bedroom furniture to move, walls to paint, and replace flooring. Thinking I need a week. I don’t want them to stick together. 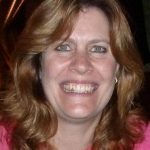 Hello Linda: I have had no problems with stacking painted tiles once the paint on them is completely dry. Good luck with your extensive bedroom reno. I wanted to do this for years. When I redid my kitchen these tiles were not available or at least I couldn’t find them. Do you glue them onto the popcorn ceiling or scratch it off first? 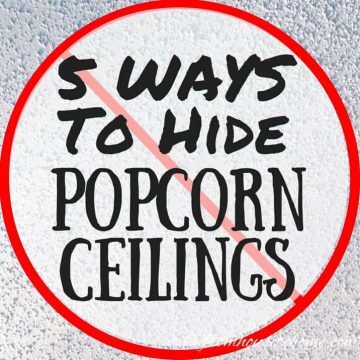 Hello Joyce, I used No More Nails to glue the Styrofoam tiles directly to the popcorn on the ceiling. I put blobs of the glue in several places on the back side of the tile before gently pushing it into place. Hi, this is Joanne again. I am in the process of doing the faux ceiling with Styrofoam tiles. I am having trouble with the painting. Should I paint the tiles with a base coat before using the metallic paint? I put the metallic paint directly on the foam tile using a foam roller and it looks all streaky. Hello, Joanne. I do not use a primer when I am painting Styrofoam tiles. Some brands of metallic paint go on smoother than others. I think if you give the tiles a second coat of paint the streaks will fade out. Good luck! Hi, Thank you for all of this great detail! How have the tiles held up over time? Are the edges still looking aligned? Have you noticed any changes around the edges? I am considering faux ceiling tiles with a crown molding. Do you have any thoughts/suggestions there? Hi Nate…The tiles have held up really well. I was a little afraid having them in a bathroom and kitchen that they might not stand up to the heat and moisture, but they look just as good now as they did when they were installed. Everything is still lined up and nothing is coming off the ceiling. I put the ceiling tiles up in my den which has crown moldings and it looks great (you can see that project here). I used the exact same process to install them, but did all measurements to the edge of the molding instead of to the wall (I think you could also install the tiles first and then put the moldings up on top of them if you wanted to). Good luck with it! 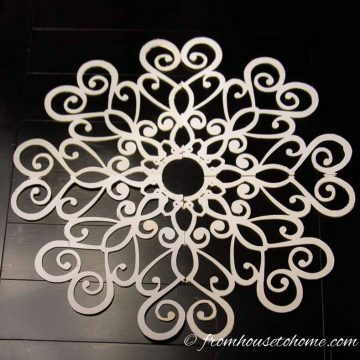 Where do I find the Styrofoam tiles. Love the idea and want to do our bathrooms. Hi Joanne…I bought mine on amazon.com. 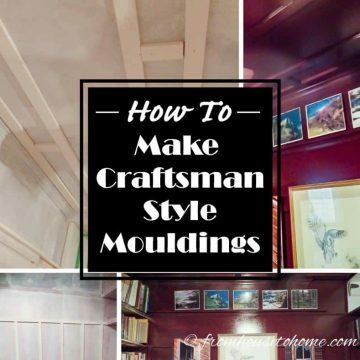 If you do a search for “styrofoam ceiling tiles” on either amazon.com or google.com, you will get a bunch of different options…just make sure to get the glue-up kind if you want to do this type of installation. Thanks for visiting!